Thematic instruction is the organization of a curriculum around macro “themes.” Thematic instruction integrates basic disciplines like reading, math, and science with the exploration of a broad subject, such as communities, rain forests, river basins, the use of energy, and so on. Thematic instruction is based on the idea that people acquire knowledge best when learning in the context of a coherent “whole,” and when they can connect what they’re learning to the real world. Thematic instruction seeks to put the teaching of cognitive skills such as reading, mathematics, science, and writing in the context of a real-world subject that is both specific enough to be practical, and broad enough to allow creative exploration. Choosing a theme–Themes often involve a large, integrated system (such as a city, an ecosystem, and so on) or a broad concept (such as democracy, weather, and so on). Instructors often strive to connect the theme to the students’ everyday life. In some cases, students participate in choosing the theme or themes. Designing the integrated curriculum–The teachers involved must organize the learning objectives of their core curriculum (both process skills and content knowledge) around the theme. In the study of a river basin, for instance, math might involve calculating water flow and volume; social studies could look at the nature of river communities; science might study phenomena like weather and floods; and literature could study books and novels that focus on rivers, such as the works of Mark Twain. The initial design requires considerable work on the part of teachers. Again, sometimes students help design the curriculum. Designing the instruction–This usually involves making changes to the class schedule, combining hours normally devoted to specific topics, organizing field trips, teaching in teams, bringing in outside experts, and so on. Encouraging presentation and celebration–Because thematic instruction is often project-oriented, it frequently involves students giving collective presentations to the rest of the school or the community. Plus, students commonly create extensive visual displays. 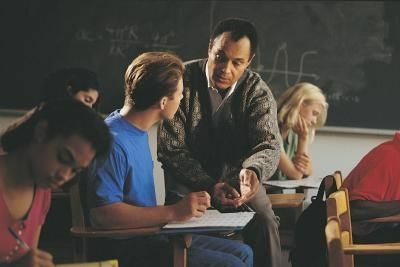 Thematic instruction can be a powerful tool for reintegrating the curriculum and eliminating the isolated, reductionist nature of teaching around disciplines rather than experience. It requires a lot of hard, initial design work, plus a substantial restructuring of teacher relationships and class schedules. I am using quite a similar approach to my teaching of socil sciences. I am glad to find this theoretical framing in that it will help me refine my approach. I have have been testing it out for two school years going into the third. Thanks! i have found this material very supportive to my professional and academic practice. Thanks. I have seen this method work beautifully in some schools. Those schools had adminstrators and staff all wanting to work together to make it successful. On the University level and in areas of social sciences, Thematic Instruction, based on my experience is a powerful tool for a transformative learning. In a sense, the real life context and the classroom are not viewed in isolation, as theory on one side and practice on the other or somewhere else. In a nutshell, I call it Instructional Leadership. The hardship involved pays off with profound satisfaction at meeting the major goals of education that are at the heart of teaching-learning. Really inspiring and helpful for me.